This exceptional work, the result of nearly 30 years of research into people and events that shape our world, includes more than 1,000 stars, black holes and deep space objects. 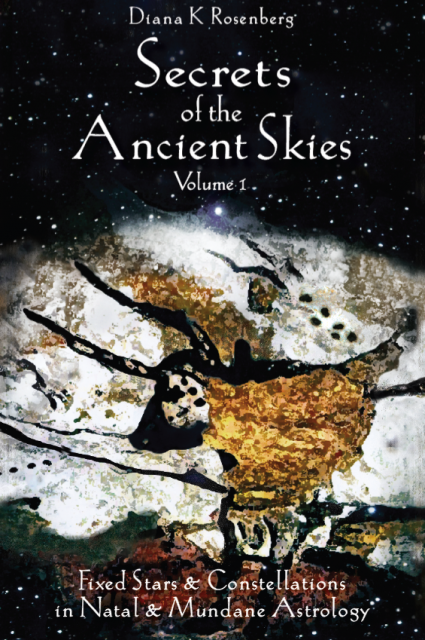 Astonishing, revolutionary and sweeping in its scope, Secrets of the Ancient Skies has been designed to be both a wide-ranging, trans-cultural compendium of astrology’s earliest sources, and a practical and useful tool for modern astrologers, with the age-old conflict between the tropical and sidereal zodiac addressed and resolved. For the first time, the sky’s mysteries have been unraveled and its messages understood, offering a new view of the universe, and our place and participation in it. The work is universal – every available culture and civilization has been included. Each enhances the others, allowing a full picture of the entire sky’s significance and abundance of potentialities, while research has brought about the possibility of a reconciliation between the tropical and sidereal zodiacs. With the rediscovery of its ancient wisdom, astrology may now truly come of age. 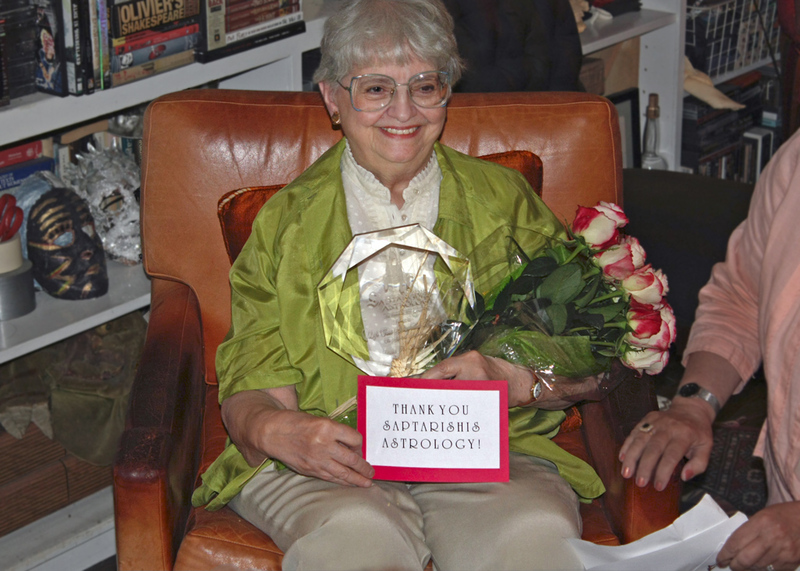 Diana K Rosenberg is one of the world’s foremost authorities on fixed stars in natal and mundane astrology. Destined to become a classic, this work, originally intended for advanced and professional astrologers, has been made accessible to beginners and even to those whose astrological knowledge consists only of their birth date. Watch this site for additional purchasing options as they become available. 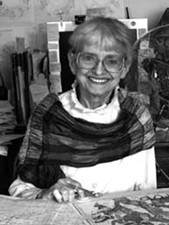 Diana Rosenberg to receive Saptarishis Astrology’s Life Time Achievement Award! New! Additional material from Edith’s interview with Diana has been released in an article in the ISAR Journal and can be downloaded as a PDF here. Update: The award was presented today 7/25/2010 in a ceremony in Manhattan. Great thanks to the wonderful people at Saptarishis! Photo below. As Diana worked to complete her book, she made available – for a limited time – some of the illustrations of constellations she created for inclusion in her magnum opus. If there is sufficient interest in these we may do so again. Please let us know! 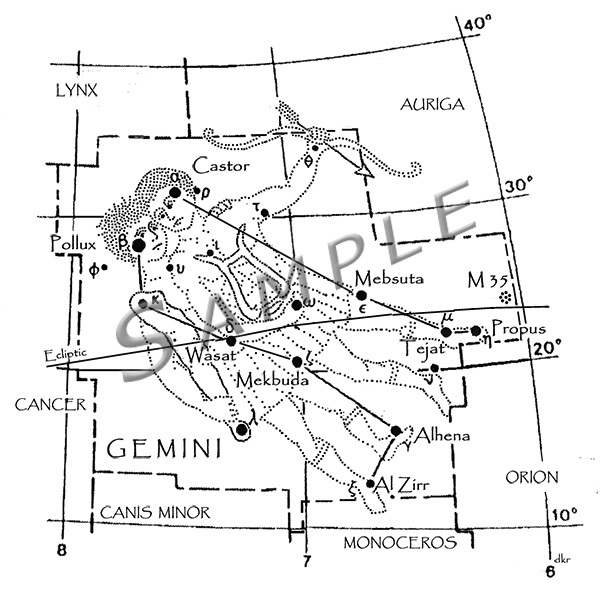 Below is Gemini. Many other unique zodiac figures may be available as quality archival prints.